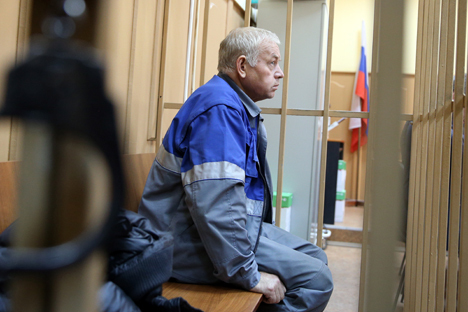 Snowplough driver Vladimir Martynenko and aerodrome engineering service Vladimir Ledenyov have pleaded guilty in the case of the crash of the Falcon jet at Moscow’s Vnukovo airport that killed France’s oil company Total CEO Christophe de Margerie on October 20, 2014. The defendants pleaded guilty at Moscow’s Solntsevsky Court on July 28. The prosecutor announced his indictment on July 28, following which the counsel for the defense and the defendants expressed their attitude to it.